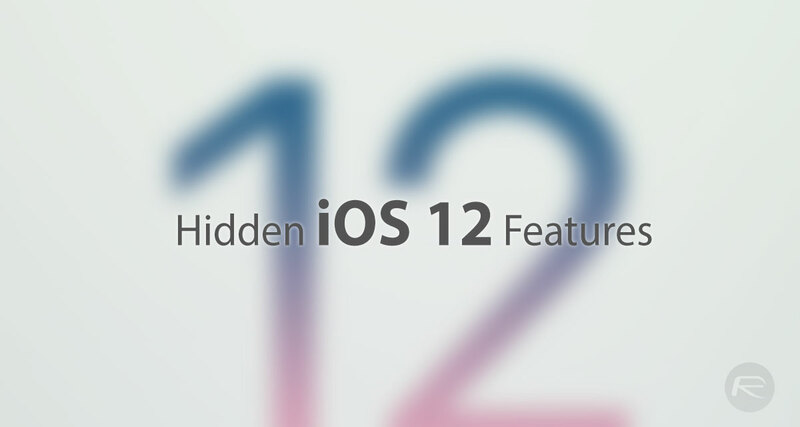 Here are 150+ iOS 12 hidden or secret features that every iPhone, iPad or iPod touch user needs to know about. Apple may have done a fairly good job of announcing iOS 12 during the opening WWDC keynote and talking about its most important features, but not everything made it into that announcement. So keeping that in mind, here are the hidden features that have since been discovered with Apple’s latest iOS 12 release. It’s important to note that as people start to interact with iOS 12 on their iPhone and iPad after the final version release day on September 17, this list will only continue to grow. So make sure that you keep checking back as we will be continuously updating it as and when new features come to light or changed. Battery usage chart in Settings.app shows usage for the last 24 hours or the last 10 days instead of the last 7 days. Battery usage chart in Settings.app also shows new chart that displays battery usage information. Developers can now add controls like buttons and switches for interactive notifications with custom views. iPad on iOS 12 now uses a webpage‘s built in video player UI when watching in full screen. On 4” phones, tabs in Safari are now rounded. Before only devices 4.7” and up had this. Three new language dictionaries: an Arabic and English bilingual dictionary, a Hindi and English bilingual dictionary, and a Hebrew dictionary. in iOS 12 significant locations are more accurate, even showing how you got to the indexed location. CarPlay now shows contact badge and not just nickname when messaging someone. “insights and suggestions” warning if you use your iPhone more than usual after an update. Phone will vibrate twice if Touch ID fails, it will vibrate once if Touch ID unlocks your phone. Now when you tap audio under the persons name, it gives you the option of regular voice call or FaceTime audio. Apple Pay now provides you with more transaction information via the Wallet app when you select a specific payment. Typing in passcode while using AirPlay will now hide the keypad on the mirrored screen. QR Codes now square the image (yellow) and tells you to move closer if needed. If you’re editing a photo in an app and save in-app, the photo will save next to the original. Quite a comprehensive list, even if we do say so ourselves. If you found anything else as new, feel free to share in comments below.